I have a new PDF Sewing Pattern for the intermediate/advanced sewer. 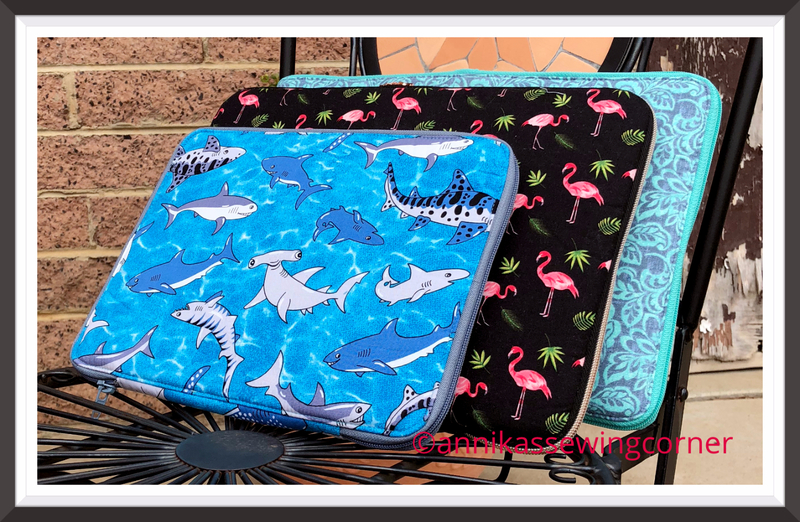 It is a laptop/tablet case that comes in two sizes and would be a great Christmas gift that could be personalised in a lot of different ways. Most of us have tablets or laptops that we want to protect when we are on the move.